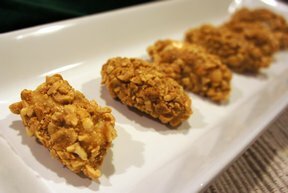 Homemade salted nut rolls. 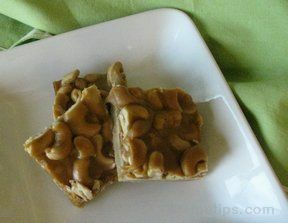 These little nougats are worth any of the work to make with the sweet center, rolled in caramel and coated with peanuts. Cashews would also be great on these. In a large bowl, combine softened butter, corn syrup, vanilla and powdered sutar. Knead well, mixture will be crumbly but you should be able to press together and it will keep its shape. Form into small 1 1/2 inch logs; freeze. In a small saucepan, melt caramels and sweetened condensed milk. 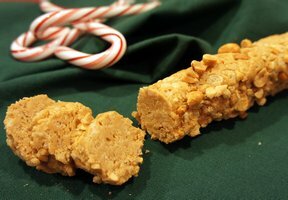 Dip frozen logs in caramel mixture and roll in salted peanuts.